Or as low as $376.63 per month over 6 months. Apply Now. Note: Due to the differences in Bluetooth technology, some Bluetooth enabled devices may be incompatible, function improperly, or may not support all features when used with the JVC KD-X240BT. Check here for the latest Bluetooth compatibility information. 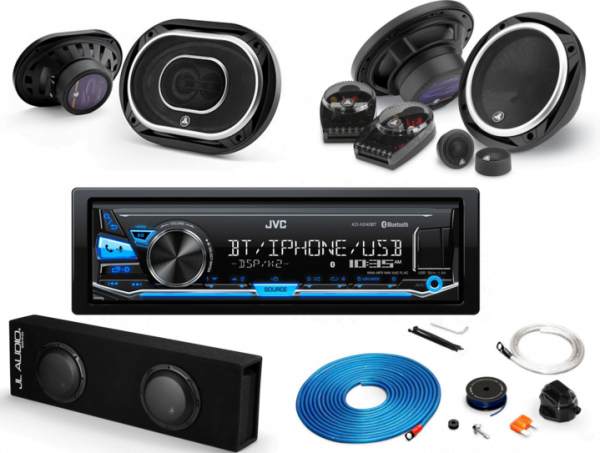 Multi-Device Pairing w/ Dual Phone Connection: You can pair up to ten Bluetooth-enabled devices to the JVC head unit, with a maximum of two Bluetooth phones and one Bluetooth audio device connected at one time, making it easier to switch between devices. When an already paired Bluetooth device is in close proximity to the receiver, the auto connection function automatically pairs the two units. Secure Simple Pairing (SSP): With Secure Simple Pairing (SSP), you can easily pair a Bluetooth enabled phone to the JVC KD-X240BT without having to enter pin codes or go through complicated settings. Auto Pairing (via USB): You can even pair your Apple iPhone (iOS 5+) or Android smartphone (running JVC Music Play App) by simply connecting it to the JVC head unit via USB and following a single prompt on the head unit’s display. Bluetooth Hands-Free Communication (w/ External Mic): The head unit supports Bluetooth hands-free communication for your Bluetooth enabled mobile phone. And thanks to the latest Hands-Free Profile (HFP 1.6) with wideband speech capability, the KD-X240BT provides more natural sound quality and details during wireless calls. The controls of the KD-X240BT can be used to dial a number, answer an in-coming call, or end a call. The unit also includes an external microphone (with mounting bracket) featuring adjustable gain, so you can carry on your side of the conversation while listening to the caller through your vehicles speakers. During a conversation, you can switch between the Private Mode (talking directly on your cell phone) and the Hands Free Mode. Answering A Call: When a call comes in, a ring-tone will be heard through your vehicle’s speaker and the caller’s name or phone number will be displayed. You can answer the call from the head unit’s front-panel controls, or setup the head unit to automatically answer the incoming call immediately or after 1-30 seconds. The KD-X240BT also supports the Call Waiting function, so you can answer another incoming call while suspending the current call you are on. Your compatible cell-phone must also support this feature. Enter Phone #: Allows you to directly dial a phone number up to 32 digits from the head unit’s front-panel rotary dial. Phone Book: You can download phone book data from your mobile phone to the digital media receiver. You can then dial a contact within the phonebook from the head unit’s front-panel controls. Your phonebook can be searched alphabetically or numerically. Voice Dialing: If your mobile phone supports voice recognition, then you can dial out by voice command. Simply speak into the included microphone once you have activated the voice dialing function from the head unit’s front-panel. Wireless Audio Streaming: The JVC KD-X240BT supports wireless audio playback (AD2P) and control (AVRCP) of a Bluetooth-enabled smartphone or audio player, plus song/artist information display. You are able to stream your stored music library on your Bluetooth-enabled smartphone, as well as music apps downloaded on your smartphone to the JVC KD-X240BT for playback. SBC + AAC Codecs: In addition to support for the standard SBC Bluetooth audio codec, the KD-X240BT offers support of AAC. By supporting AAC, the KD-X240BT offers better audio performance of the music streamed from your Apple iPod, iPhone, or iPad. Advanced Music Browsing: In addition to basic playback functions (Play/Pause, FF/RW, Skip, Random/Repeat), the KD-X240BT lets you browse your stored music by Playlist, Artist, Album, Song, etc. (AVRCP 1.4 phones only; which includes Android 4.0+ and iPhone 5.0+). Siri Eyes Free Control: When paired to an iPhone with Siri via Bluetooth, the JVC KD-X240BT has the ability to access Siri through its front-panel control and external microphone. Simply press the “phone command” button on the KD-X240BT to engage Siri and use the included microphone to communicate with Siri. Siri’s voice will heard through your vehicle’s speakers. All Siri functions including hands-free calling, music search, setting reminders, text-messaging, audible navigation, and more can be done through the head unit and its microphone. You can even ask Siri to get directions to a destination and the turn-by-turn instructions will heard through your vehicle’s speakers, while the on-screen map still displays on your iPhone with Bluetooth; the head unit’s audio is attenuated while Siri provides audible directions. Note: The head unit will only display hands-free calling and Bluetooth audio information (all other functions of Siri are only audible through the KD-X240BT; visual data will still need to be viewed from your iPhone device). Android Open Accessory 2.0 (AOA 2.0) Connectivity: The JVC KD-X240BT’s front- or rear-panel USB port lets you connect your AOA 2.0 compatible Android smartphone for music playback. JVC does not guarantee operation with all Android devices. Click here for the most current list of compatible Android smartphones. There are two Android AOA 2.0 modes to choose from based on what content you want to listen to and how you want to control it. Auto Mode: The JVC KD-X240BT supports Android Open Accessory 2.0 (AOA 2.0), which lets you connect your Android (OS 4.1+) smartphone to the KD-X240BT’s front- or rear-panel USB port and listen to stored music and music apps from your Android device through the JVC head unit. You’ll be able to control basic playback functions such as Play/Pause and Previous/Next Track. Other advanced music navigation will still be done from your Android smartphone’s touchscreen. In this mode, the head unit will not display song/artist information; only “Audio Mode” will show up on display. You’ll continue to view song/artist information from the Android device’s touchscreen. You’ll also still be able to access other functions and applications from your Android smartphone’s touchscreen, while listening to music through the head unit. If you make a call or answer a call from your smartphone while listening to music in this mode, the music will pause until you are finished with the call and then start back up again. JVC Music Play App: Downloading the JVC Music Play app onto your Android (OS 4.1+) smartphone not only allows you to listen to stored music from your Android device through the JVC digital media receiver connected via USB, but it also lets you browse your Android smartphone’s music library from the head unit’s front-panel controls. You can browse your store music library by Playlist, Artist, Song, Album, or Genre. The contents of a Playlist or Category can be searched alphabetically or numerically. You can also control Play/Pause and Previous/Next track from the head unit. In addition, the head unit will display song/artist information. You can exit the JVC Music Play app to access other functions and applications of your Android smartphone, while your stored music library is still playing through your head unit. If you make a call or answer a call from your smartphone while listening to music in this mode, the music will pause until you are finished with the call and then start back up again. iPhone Direct Connection: The JVC KD-X240BT’s front- or rear-panel USB port can be used to connect a Lightning-connector or 30-pin dock connector iPod/iPhone to the head unit (see chart below for compatibility). The KD-X240BT supports audio playback, music navigation, information display, and charging of your compatible Apple device. If you have a newer iPod/iPhone with the Lightning-connector, you can use JVC’s Lightning connector-to-USB cable (105KSU62, sold separately) or the Lightning-to-USB cable that came with your Apple device to connect your iPod/iPhone to the KD-X240BT. If you have an older iPod/iPhone with a 30-pin dock connector, you can will need to use the dock connector-to-USB cable that comes with your Apple device or a “Made For iPod/iPhone” 30-pin-to-USB cable (sold separately) to connect your iPod/iPhone to the KD-X240BT. Head Unit Control: From the head unit’s front-panel controls you can search for stored music by Playlist, Artist, Album, Song, Podcast, Genre, and Composer. The contents of a Playlist or Category can be searched alphabetically or numerically. The KD-X240BT also supports Repeat (file/all) and Random (album/all) playback functions of stored music on your iPod/iPhone. In addition, you’ll be able to control basic playback functions (such as Play/Pause, Previous/Next Track) from stored music and select music apps streamed to your Apple iPod/iPhone. You can also choose to control your Apple device from its own touchscreen, instead of the head unit. Song/Artist Info: The KD-X240BT will display your iPod/iPhone’s music file information such as Track number, Elapsed playing time, Artist name, Song title, and Album title. USB Charging: The head unit’s USB connection provides 1.5A of current to power and charge your connected iPod/iPhone or Android smartphone when your vehicle’s ignition switch is set to the ‘ACC’ or ‘On’ position (if your iPod/iPhone or Android smartphone has no initial battery charge, then the unit will not recognize it). Internet Radio Apps (for iPhone/Android): The JVC KD-X240BT allows you to access Pandora and iHeartRadio online music services through your USB or Bluetooth connected iPhone, or Bluetooth connected Android smartphone. Your Apple iPhone must be connected to the KD-X240BT via the Lightning or 30-pin cable supplied with your iPhone, JVC’s Lightning connector-to-USB cable (105KSU62, sold separately), or paired via Bluetooth. Your Android smartphone must support A2DP/AVRCP/SPP Bluetooth profiles and be paired with the JVC KD-X240BT. Your iPhone or Android smartphone device will need an active Data Plan account with connection to the Internet via 3G, EDGE, LTE (4G), or WiFi. Pandora App: The free Pandora App (either from Apple’s App Store or Google Play) lets you play music from your Pandora music service account through the JVC KD-X240BT using your USB or Bluetooth connected Apple iPhone (iOS 9.0+), or Bluetooth connected Android smartphone. The JVC KD-X240BT provides control over the Pandora music service and displays Artist, Album, and Song information. You can select Pandora stations from your station list and sort them by date or alphabetically. New stations can be created based on the current songs or artists playing. You can also skip song tracks within a station. You can even give songs a thumbs up/thumbs down and bookmark them on your Pandora account. iHeartRadio Auto: The free iHeartRadio Auto app for JVC (either from Apple’s App Store or Google Play) lets you play music from your iHeartRadio music service account through the JVC KD-X240BT using your USB or Bluetooth Apple iPhone (iOS 8.0+), or Bluetooth connected Android smartphone (4.0+). The iHeartRadio music service provides access to more than 1,500 live radio stations from coast-to-coast (including pop, country, urban, rock, talk, and sports). The KD-X240BT will provide control over the iHeartRadio Auto app, as well as display station identification and song/artist information. From the head unit’s front-panel controls, iHeartRadio stations can be searched by the following categories (Local, Genre, City, or My Stations). The Local selection provides a list of radio stations in your local listening area. The unit also provides over 22 Genres to choose from (including pop, country, hip-hop, jazz, etc.) to help you find the right radio station for you. In addition, you can search for radio stations by City. Cities can be searched alphabetically. You can even store your favorite stations (My Stations) for easier, quicker access. RDS AM/FM Tuner: The JVC KD-X240BT features a built-in AM/FM tuner with manual, seek, and preset tuning. You can store a total of 18 FM stations presets and 6 AM station presets. The radio allows you to set your AM/FM stations manually or automatically. You can also switch the tuner’s IF filter to Wide or Auto to increase/decrease the sensitivity. If an analog FM stereo broadcast is hard to receive, you can manually switch the tuner to Mono operation. Radio Timer: The head unit’s Radio Timer features lets you tune into a preset station at a specific time regardless of the head unit’s current source (you can activate the Radio Timer once, daily, or turn it completely off). USB Mass Storage Devices: The JVC KD-X240BT features a front-panel USB (type-A) port that is hidden behind a flip-out cover. The USB port enables connection of USB mass storage class (MSC) devices, like USB thumbdrives or portable digital music players. You can insert a compatible USB MSC device into the head unit’s USB port for playback, control, and song/artist display of a variety of music files. Music Drive: When a mass storage class (MSC) compatible smartphone or portable digital audio player is connected to the head unit’s USB input, the unit’s Music Drive mode lets you select its internal memory or external memory (such as a microSD card) for stored music playback. USB Charging: USB devices that can be charged via USB will be charged when plugged into the digital media receiver’s USB port (max. 1.5A), and the vehicle’s ignition switch is set to ACC or On. Compressed Music Files: The JVC KD-X240BT supports the following types of music files loaded onto a compatible USB mass storage class device. Playback & Search Functions: The JVC KD-X240BT offers a variety of playback and search functions to help you find and enjoy your music a USB memory device. Track/Folder List: The Track/Folder List displays a list of music folders and tracks on a connected USB device, so you can easily access your music. Resume: If you change the source, playback also stops (without ejecting the USB device). Next time you USB for the playback source, the player will start from where it has been stopped previously. Front-Panel Auxiliary Input: A front-panel stereo minijack is provided to allow the connection of almost any portable audio source with a 3.5mm headphone output. Simply connect your portable digital music player to the unit’s front-panel auxiliary input, and you can listen to the audio from the portable player through the speakers in your mobile audio system. 24 Bit D/A Converter: The JVC KD-X240BT utilizes a 24-bit digital to analog converter for superior sound quality. Amp Gain: When you are using the KD-X240BT with factory speakers (or those rated to less than 50 watts peak), the Amplifier Gain Control can limit the amount of power being sent to those speakers. When the Amp Gain Control is set to “low,” the volume control ranges from 0 (minimum) to 25 (maximum). When using speakers rated higher than 50 watts peak, you can set the Amp Gain Control to “high,” and the volume control will range from 0 to 35. 4V/2CH Preamp Outputs + Sub Control: The KD-X240BT is equipped with two 4V preamp outputs (Rear/SW). You can set the Rear/SW preamp outputs for connecting a pair of full-range rear speakers (through an external amplifier) or for connecting a subwoofer (through an external amplifier). When set for rear speakers, the rear outputs operate with the unit’s fader control. When set for subwoofer, the outputs are non-fading with an independent level control (-50 to +10). 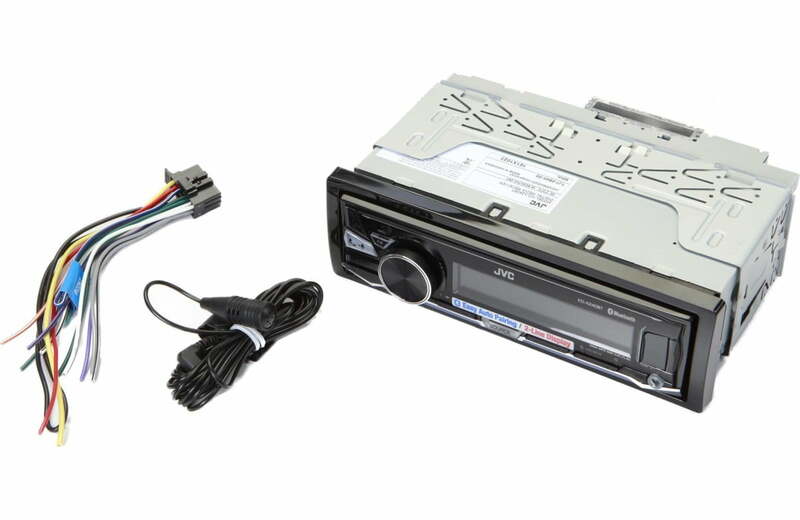 Subwoofer Speaker Connection: You can connect a subwoofer to this head unit without the need of a separate power amplifier. Simply connect a single subwoofer (4-8 ohm) directly to head unit’s left rear speaker leads (the right rear speaker output will be muted). The rated power output for the subwoofer speaker channel remains 22 watts. Same subwoofer controls apply, except the, subwoofer level adjustment is from -6 to+3. Vehicle Setup: In order to optimize the sound quality in your vehicle, you can indentify the type of vehicle you have and the rear speaker location, as well as configure listening distances. Crossover Network: The JVC KD-X240BT lets you choose between a 2-way or 3-way crossover network for your car audio application. X’Over: Select the high pass or low pass crossover settings for your speakers. Equalizer: The JVC KD-X240BT is equipped with 8 EQ presets, an Easy EQ (3-band), a Pro EQ (13-band), and a Vol Link EQ. Choose the one that best fits your type of music listening. EQ Preset: You can choose between the following EQ presets – Flat, Hard Rock, Pop, Hip Hop, R&B, Jazz, Classical, DRVN, & User. The DRVN EQ preset helps you hear your music over road noise; it boosts certain frequencies ranges that becomes hard to hear due to road noise.The User mode allows you to select either the 3-band Easy EQ or 13-Band Pro EQ. Easy EQ: The head unit’s Easy EQ consists of a 3-band equalizer (Treble, Mid, & Bass). You can adjust the Treble, Mid, & Bass from -9 to +9. K2 Technology: K2 is a JVC original technology that reproduces the original master sound by expanding the bit rate and frequency range. K2 is compatible with all sources including CD. For example, K2 will expand the digital data of the audio CD recorded at 44.1kHz/16 bit to 48 kHz/24 bit, and recreate the high-frequency range above 20kHz that is cut during the CD formatting. Sound Effects: The KD-X240BT offers adjustable Sound Effects to provide a better listening experience inside your vehicle. Space Enhancement: Space Enhancement is a virtual surround technology using two speakers. Just select the vehicle size, and the head unit automatically adjusts the sound effectively. The soundstage is broadened inside your vehicle. Sound Response: This function boosts the low frequencies which can be lost during compression to MP3 or AAC. Your music will sound more natural inside your vehicle. Sound Lift: Virtually manipulates the height of the speakers by adjusting the sound frequencies. Your speakers will sound like they are positioned at ear level inside your vehicle. Loudness, Bass Boost & Bass Extension: The Loudness feature boosts low and high frequencies to produce a well-balanced sound at a low volume level. The unit’s Bass Boost enhances low bass frequencies at any volume level. There is also a Bass Extension feature which further enhances the unit’s bass output. Volume Adjust: The input level of each source (other than FM) is adjustable relative to the FM radio volume, so there isn’t a significant volume difference when changing sources. Each source is individually adjustable from -15 to +6. Source Information & Control: The JVC Remote App provides a Source Control screen with a list of the receiver’s built-in sources and connected sources to choose from, so you can change the head unit’s source from your mobile device. Once an input is selected, the app displays source information such as station number, track number & playback time, as well as song/artist information (when applicable). From the app, you can also seek stations and tracks, as well as Play and Pause your music. Audio Settings: From the application on your mobile device, you can adjust the receiver’s volume up or down. In addition, audio settings such as EQ, Crossover, DTA, and other audio adjustments can be easily set using the JVC Remote Application. Media Player: The application’s Media Player screen lets you playback your device’s stored music library through the JVC receiver. From the app on your Apple iOS or Android device, you can control basic playback functions like Play/Pause, Previous/Next Track and Repeat/Random. The Android version of the app even lets you browse your music library by category (Song/Album/Artist/Playlist/Mood). Song, artist, and album information (along with Album Art) will displayed on your Apple iOS or Android device’s touchscreen. App Launcher (Android only): The App Launcher feature of the Android version of the JVC Remote app lets you access 3rd party applications within the JVC Remote app’s user interface. The App Launcher can contain up to 24 of your favorite apps for quick access. You will need to indicate within the head unit’s menu what type of device (Apple iOS or Android) you’ll be using the JVC Remote App on before the application will connect and function with the receiver. Steering Wheel Control Input: The head unit features a steering wheel remote control input wire (blue/yellow) within the included wiring harness that lets you keep your vehicle’s factory radio steering wheel remote controls when used with an optional steering wheel audio control adapter (sold separately). Optional Wireless Remote: The KD-X240BT can be controlled wirelessly from JVC’s RM-RK52 IR remote control (sold separately; not available at Crutchfield). Detachable Face: The JVC KD-X240BT features a detachable face to deter theft. No face-case is provided. An optional soft face case (142DFC1X, sold separately) can be purchased for this unit. A face-fixing screw is supplied for making the face non-detachable, if desired. 2-Line LCD: The 2-line display provides more information for audio settings, song/artist/album info, and station identification. You can select between English or Spanish text. Dimmer: The unit’s dimmer control can be set automatically, manually, or via timer. Manually select “Off” for daytime brightness setting or “On” for nighttime brightness setting. Choose “Auto” which switches between day and nighttime brightness setting automatically when you turn off/on the headlights (orange/white wire of harness must be connected to headlamp circuit). You can even set a specific time for the “Off” and “On” dimmer setting to be activated. Day & Time: The unit displays a 12-or 24-hour clock, as well as the day (Sun/Mon/Tue/Wed/Thu/Fri/Sat). The day & time can be selected to remain on, even if the head unit is switched off (as long as the vehicle’s key is in the accessory or start position). 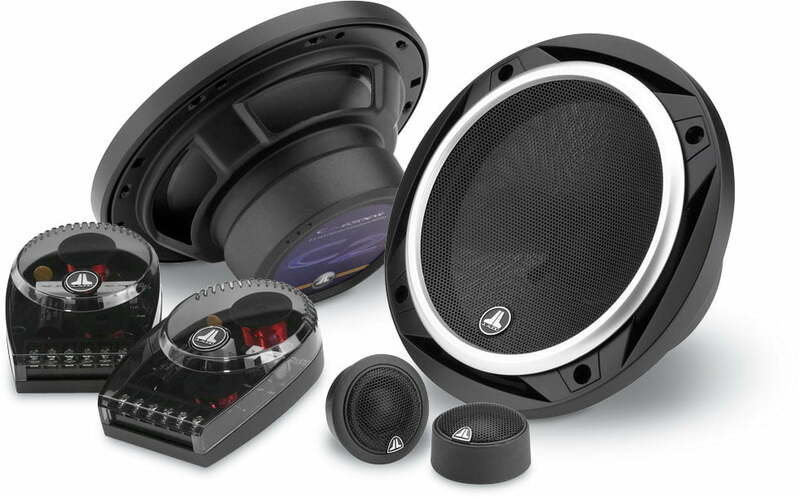 In designing the new JL Audio C2-650 C2 Coaxial and Component Systems, we have drawn from our vast experience in woofer design as well as the tweeter technologies employed in our world-class C5 component systems. The resulting products deliver a compelling performance solution at a price within reach of any enthusiast seeking a great listening experience. In designing the new JL Audio C2-690TX C2 Coaxial and Component Systems, we have drawn from our vast experience in woofer design as well as the tweeter technologies employed in our world-class C5 component systems. The resulting products deliver a compelling performance solution at a price within reach of any enthusiast seeking a great listening experience. Description: Evolution? C2 6.0 x 9.0 in. 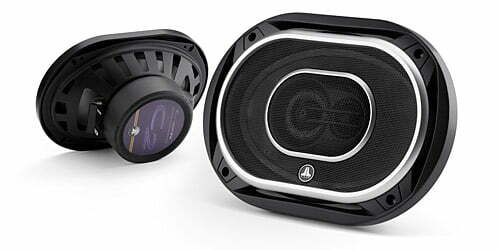 / 150 x 230 mm 3-Way Speakers Grilles Included. 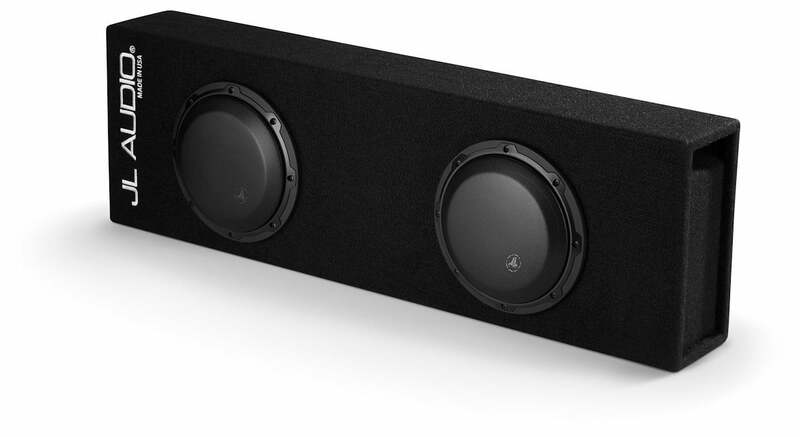 This powerful speaker system will impress you with its output and clarity at all volume levels. quality by minimizing air-flow noises through these ports. Amplifier installation kits can save you time & money when installing an amplifier in your vehicle like the JL Audio XD-PCS8-1B 8 AWG Amplifer. Instead of purchasing everything you need separately like power/ground cables, remote turn-on cable, fuse blocks, fuses, and more, you can get an amp kit that already has the cables & accessories in one package. This JL Audio 8 AWG Amplifier Power Connection Kit includes all the necessary hardware and wire to power one amplifier and is designed specifically for car audio systems up to 400 watts. The included premium power/ground cable is made from 100% oxygen-free copper and is true-to-gauge for ultimate power transfer. This XD-PCS8-1B power amp kit includes 19-feet of 8 AWG frosted blue power cable, 3-feet of 8 AWG clear ground cable, 20-feet of 18 AWG blue remote turn-on wire, Maxi Fuse holder, 40 Amp fuse and more. 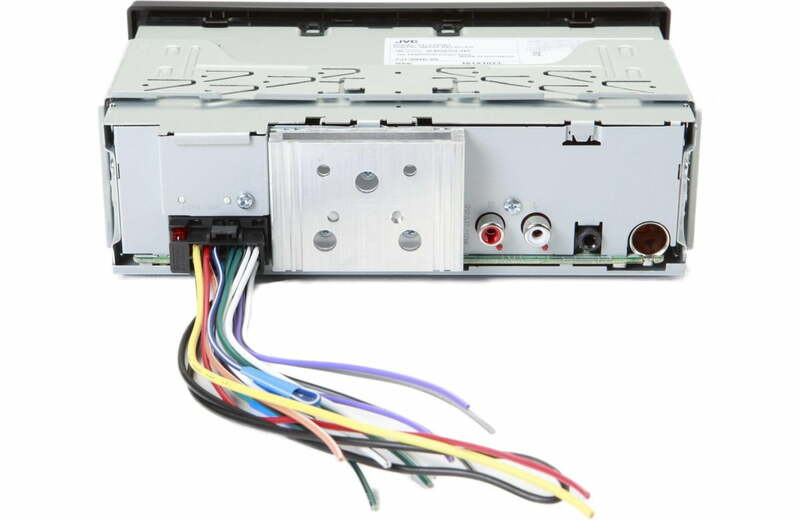 Amplifier wiring kits come in various gauge configurations depending on the wattage of your sound system and include all the necessary components you need to successfully install an amplifier. This kit is appropriate for single amplifiers with fuse ratings from 20A to 40A.